While scrolling through Pinterest in one of my very interesting classes ... I found a post for fall desserts and this one by The Girl Who Ate Everything. That night I bought all the ingredients and made it - probably the best muffins I have ever had! 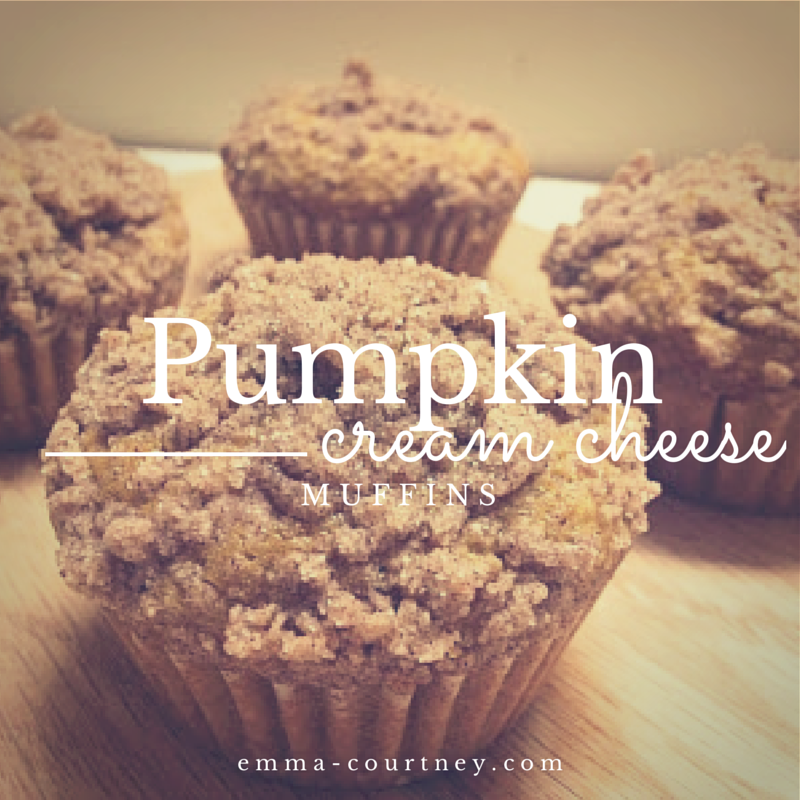 And they taste just as good without the cream cheese - I made them with and without! For the muffins: combine the flour, cinnamon, nutmeg, cloves, pumpkin pie spice, salt and baking soda. In another bowl, combine the eggs, sugar, pumpkin puree and oil. With the mixer on a medium speed, add in the dry ingredients. For the topping: combine the sugar, flour and cinnamon in a bowl, add the cold butter in pieces and cut into the dry ingredients with a fork until the mixture is crumbly and coarse. Fill the muffin pans with batter, leaving about 1cm from the top to allow for the muffins to rise. Optional: Add 1-2 teaspoons of cream cheese to each muffin, pushing it down so the batter covers the cream cheese. Sprinkle the topping over the muffins before making.